JKS Boyles Blastmaster offers the ultimate in specification and choice when selecting ANFO bulk mixers. Blastmaster is readily customised to meet your exact requirements in terms of bulk mixing capacity and mobility. The Blastmaster series offers standard capacities from 50 kg to 15,000 kg in various body lengths. 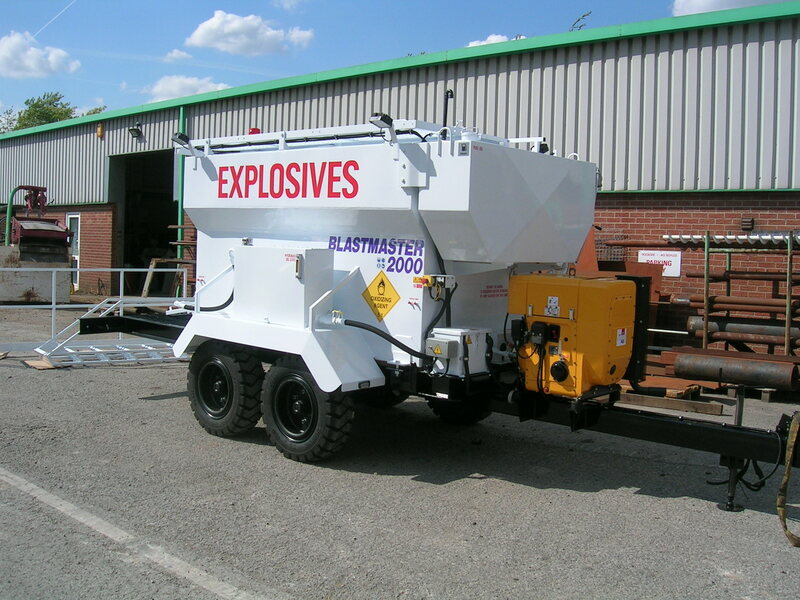 All Blastmasters are built in accordance with the strict guidelines set out by the United Kingdom Health and Safety Executive for manufacture of ANFO mixer units and have full approval from the H.S.E. for use in mines and quarries.